While the Camola Divoratrice does not show up in the Pet Journal list, you are still able to use it by clicking the link when you capture it in chat " has been added to your pet journal!" and then on "Click here to view in journal" in pop-up. This will select the pet in your journal so you can add it do your team. If you use an add-on such as Pet Battle Teams you can then save the team with Devouring Maggot for future use! Want this battle pet? Kill the Ratto dei Fiordi's around Utgarde Keep. You can find the Devouring Maggots among the Ghoul in Decomposiziones in the catacombs underneath Wyrmskull Village, just south of Forte Utgarde in Fiordo Echeggiante. You will see the icons for them and you can /tar the original critters (particularly just southwest of the village), but you won't actually see them because they are underground. The page for the original (not battle pet) critters is here. ATM Wowhead has the Disinfestazione achievement linked to this page, but it should link to the other one. (You will probably want to kill a regular critter while you are there.) The battle pets are a criteria for Safari di Nordania, though. 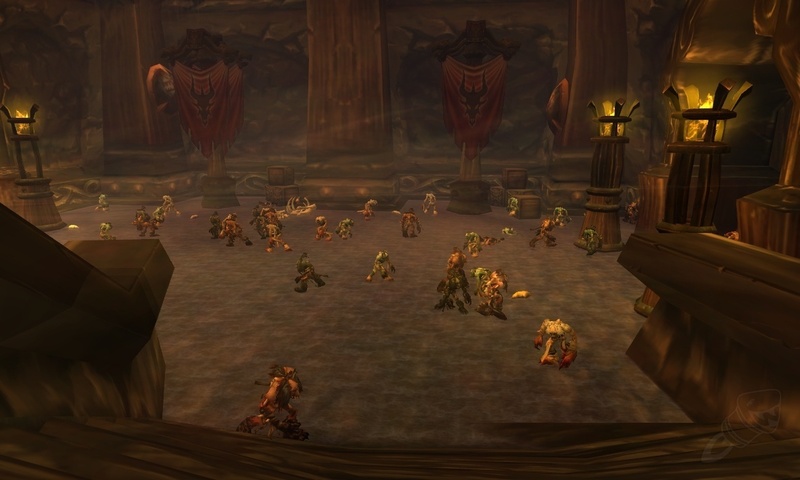 The battle pets were missing from the catacombs in 5.0.5 and could only be collected if they showed up as a second or third pet in a battle. This was fixed in 5.1. I think I captured in total like 5 or 6 Camola Divoratrice, with quality varying from grey to green, and none of them got the Safari di Nordania corresponding part check. I even tried with another character from a different realm, but it didn't seemed to matter. So I got kinda frustrated, I abandoned the Camola Divoratrice "quest" and I went for the last little guy on my Safari di Nordania list: Rana della Bile. I captured one Rana della Bile and surprise: Safari di Nordania just popped on my screen, all items checked. Questo PNG si può incontrare qui: Fiordo Echeggiante (7). Il Fiordo Echeggiante è il simbolo del ciclo vitale. Quando una creatura muore, il suo corpo viene velocemente consumato dai vermi, i quali in cambio passano sostanze nutritive a molte altre creature.